I find children's books to be so interesting and I love sharing them with my nieces and nephews. 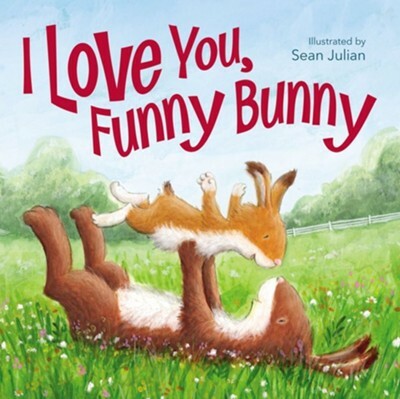 I was happy to read and review I Love You, Funny Bunny. This book is a focused on the love that a mommy bunny has for her child. I really like the pictures in this book. They are colorful and well done. This is a good book for babies through school aged kids. The pictures in this book are cute and colorful and fun to look at. The story of this book is a positive one and one that I thought was really sweet. There is a part of the book where the younger bunny in the book happens to call the older bunny "mom" and I wish that part wouldn't have been included so that the book could work for dads and aunts and uncles, too. Without that part, it would be pretty generic. Overall, I really like this book and think it is sweet. I give I Love You, Funny Bunny 5 out of 5 stars.